Vocaloid 5 has now been announced… and I’m kinda mad because I made a video about my theory on why they relaunched the Vocaloid website… then it leaked that v5 could come out so I added some stuff… and once I got done they confirmed it and released it… That was such a waste of my time! Anyway, I know people were worried about the relaunch of them discontinuing their main Vocaloids VY1, VY2, Cyber Diva, Cyber Songman, along with every starter pack in the store. But it’s ok, because we got updates for all 4 of those Vocaloids and got 4 more generic ones; Amy, Chris, Kaori, and Ken. And I was gonna make it a different video but why not just add the first Vocaloid 5 only Vocaloid by AHSoft, Haruno Sora? First I’m gonna talk about the massive boost to the program, then come down to the Vocaloids, then it’s off to what I wanna see in the future on this special edition of Demo Talks: Vocaloid 5. Vocaloid 5 has a massive redesign and sonny boy the skin is amazing! Instead of green and white, they’ve changed it to full on onyx and blue. The upgrade is massive and they’ve focused on ease of access to vocal phrases and audio samples with the addition of a quick add list with drag and drop sequence. The new parameters are Attack and Release and an upgraded mixer with Voice Color- because v4 only allowed for 2 effects per channel. They have also added fluency to finding a Vocaloid to use. If you’ve had Vocaloid for a long time and have Miku v2, Miku v3, Miku v4, and Appends, they all are used as separate Vocaloids. This time, they use files with the Vocaloid name to go from v3 – v5 as well as choosing a language bank which is a nice touch. Now, instead of a vocal line vibrato at the bottom, the orange line goes across the whole of the notes. The editing and lyrics are easier to edit as well, and you can have an easier time redoing the phonemes because I sucked at remembering what character goes with what way a word is spoken. Everyone knows Miku v4 has an Engrish inflection. I will say the parameters are essentially called Styles and they now have a more accurate manipulation so you can edit each individual note or all of them by having them selected. These have even more effects such as if anyone remembers using the – button to carry to melody across different notes, we don’t have to do that anymore because that orange line is extremely versatile! I’m loving this the more I see it. What’s that? Vocaloid needs more breath? Well they’ve got you covered, because you can add a breath in the editor without having to insert that stupid WAV file and then make time to where it doesn’t sound unnatural. Even the breaths can be edited very intensely and can even be randomized across the song making it more natural. Voice Color is all about combining some parameters such as the Growl, Breathiness, Air, Openness, and Gender, which is now called Character. Character parameter goes between Cute and Cool rather than Young and Older, so that’s a small detail I adore. And now you can add more than one singer to a channel so you don’t have to redo everything I just said on another track. They are killing it with these ease of access upgrades. Doing all of this can create a very emotional song even more than what has already been in the Vocaloid community. The English walkthrough is AMAZING!!! I’ll link to it down below, but I’ve essentially told you what it does. The walkthrough has a lot more visual and sound info that you MUST check out because it is awesome! Luckily for the rest of us that are imperative to us, you can import Midi and even audio tracks via mp3 now. And now, instead of having the generic Miku v2 version, you’ll have Amy, Chris, Kaori, and Ken for free. 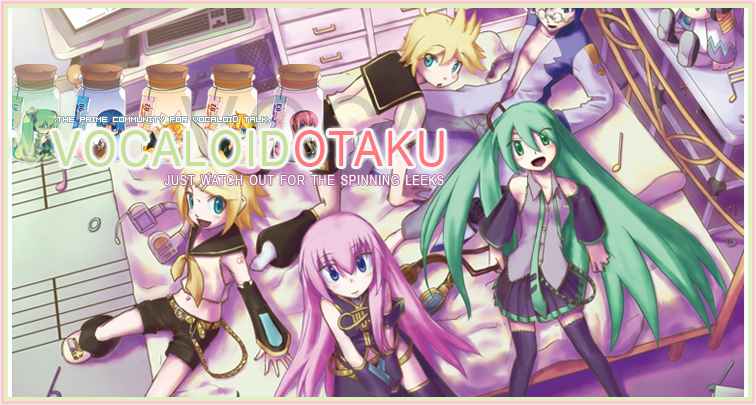 Speaking of, let’s talk about the Vocaloids now. Amy and Chris are English and Japanese Vocals while Kaori and Ken are Japanese. VY1, VY2, Cyber Diva, and Cyber Songman all have upgraded versions while keeping the same core product in tact. And ultimately, you can use v3 and v4 vocals without any hitches. You can modify it with all of the settings in v5. Gumi v3 English I need you to follow me to the checkout line! This is the best part, people who own v4 can get a special discount! Also, there is a standard and premium edition.V5 is set at a cost around $133.50 for standard and $213.55 for the premium version if you upgrade… however, if you want it as a beginner, the standard is $223 and the Premium is $356… ho boi. Standard comes with the new generic Vocaloid such as Amy and the rest, while Premium comes with the VY’s and Cybers as well as the previous starter Vocaloids. That’s all well and good, but I’m wondering about the new Vocaloid Haruno Sora. Haruno Sora was leaked a day before relaunch. She is adorable and sensual, because she comes in natural and cool versions along with a set pack and a voiceroid 2 product. She is voiced by voice actress Kikuko Ineouei, also known as Sonico’s grandmother from the anime… or Lust from Fullmetal Alchemist Brotherhood. She plays a lot of mom anime characters, maybe because she’s now 54… She also voices Izayoi from Inuyasha. But overall, most of her acts are as side characters. So I’m game to have a Vocaloid to be motherly! She’s probably the oldest voice actress for a Vocaloid yet which ads spice to the mix. Is it any consolation that she also voiced Togekiss in Pokemon? Sora’s Cool voice is a vigorous and brisk type that can be used for powerful slowballads and Enka styles- which sounds like a cross of country and salsa music. Natural, a more fluffy yet elegant voice that works best with pop and both will release the same day, July 26th. She will be $104 a pop and $172 for the set. So that basically ends my informational side of the conversation. What about the future? The future of Vocaloid looks like an explosion of ingenuities. Why it took so long to make it that way I’ll never know, but no complaining we’ve got it now. The whole point of being here, doing what I do, is because of the hard work producers have put into this loveable system. I say loveable but it has some deep learning curves… or used to, and is very annoying at times. So here’s to Vocaloid 5 and to hopes that they’ll update it often with more parameters because Vocaloid 6, 7, 8, 9, and 1886 doesn’t sound as catchy as v3, v4, or v5. I also want to see more variants of Vocaloids. Everyone can agree that there is an over abundance of cute girls singing with a lot of what’s new being the same thing sometimes. Let’s branch out and make Vocaloids for specific genres like Salsa, Latin, Opera, Metal, Death Metal if we can, and possibly even bring Voiceroid to America! So yeah- honestly, I’m waiting to see if this new v5 settings will have any effect on making a Vocaloid growl more accurately without having to use an outdated plugin. I know the Growl, Air, and Character parameters were extended for more breadth. So, eventually when I’m able to get it because I’m dirt poor right now, I’ll show you guys just how awesome it is because I’m gonna have fun with it. I was gonna be a shuckle and say that I had an affiliate link to buy the v5 editor so I could get money to actually buy it or food for my belly, but no one offers an affiliate option as the v5 editor is only software and only on Vocaloid.com… so yeah, whatever! Not to mention I’ve reedited this script almost 4 times because of theories I had, then new leaks, then the official releases… Yep, what a waste of 5 entire days! Damn you Yamaha, Damn you- but bless you two fold for giving us V5 and Haruno, so it class itself out. That ends the show, but what about you? How do you feel about all of this boost of syrup that I just lapped up? Let me know in the comments so I can prepare for the rest of what I’ve got in store for you! Pushing myself is the only thing I can do as of now!